Visceral pain and hypersensitivity disorders are common but poorly understood, and their specific treatment is even more limited than for somatic disorders. Visceral hypersensitivity is mediated by small sensory fibers, the Aδ and C afferents, and results from their lowered activation thresholds, change in phenotype, or altered regional density. Visceral and somatic hypersensitivities share some neuropathological mechanisms, as well as convergent signaling pathways, considered to be responsible in the spinal cord for referred pain and dysmotility. However, some mechanisms are distinct, both in the normal state and chronic pain conditions. The transient receptor potential vanilloid type 1 (TRPV1, heat and capsaicin) receptor plays a major role in visceral pain, and also purinergic receptor P2X3, which is selectively expressed by a subset of nociceptors. 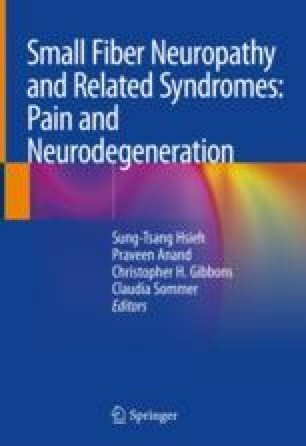 Neurotrophic factors, particularly nerve growth factor (NGF) and glial cell-derived neurotrophic factor (GDNF), are known to regulate nociceptor function in health and disease; overexposure of nociceptors to neurotrophic factors is a key underlying mechanism in a number of chronic visceral pain syndromes, including irritable bowel syndrome, bladder pain syndrome/interstitial cystitis, and fibromyalgia. Patients with visceral pain are more likely to have other pain conditions, and growing documentation suggests a link with genetic predisposition and environmental triggers.